Mark your calendars to attend the TEA Spring Symposium! Mark your calendars to attend the TEA Administrators Conference! Mark your calendars to attend the TEA Education Support Professionals Conference! You also may want to join others and be a part of a group event. Plan an event in your school on April 22, by utilizing the ideas in TEA’s ESA Voucher toolkit. This kit has materials and action planning guides for TEA members and other groups that are fighting against vouchers. Please share your plans with your UniServ Coordinator and/or local association president. If they are already planning something you might want to join together to make an even bigger impact. Or . 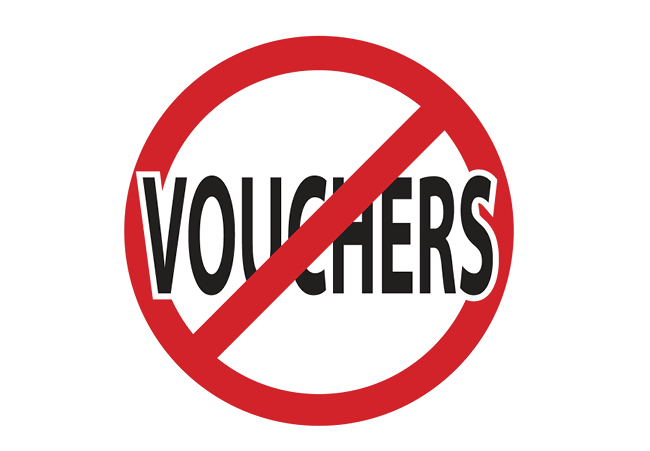 . .
Come to Nashville on Monday, April 22, for a march on the Capitol demonstrating that vouchers would deal a mortal blow to public education in Tennessee. Plan to gather at the TEA building (801 Second Avenue North, Nashville). Food will be ready by 3:30 p.m. Procession will start forming by 4:30 p.m. Procession will continue forming until around 5 p.m. There will be ample parking at or near the TEA building and we’ll post traffic updates on social media throughout the day on Monday. RSVP HERE. Whatever you do – watch for updates from TEA! We're asking legislators to bury ESAs/vouchers so public education in Tennessee won't be dealt a mortal blow. We look forward to seeing your posts on Monday – or seeing you in Nashville for the march on the Capitol! In the meantime, please contact your legislators and urge them to vote NO on ESA/vouchers! Please work with your TEA UniServ or local president to plan an event in your area. Click here to view ideas for local events. If needed, please take a personal or professional day to attend. TEA does not advocate taking a sick day. Watch TEA social media for more updates! Some materials are intentionally not branded with TEA's logo, because this is collaborative event with a number of groups and organizations opposed to ESA vouchers.